With all the pollutants that she sucked in, Toxic Molly gave herself a vow. 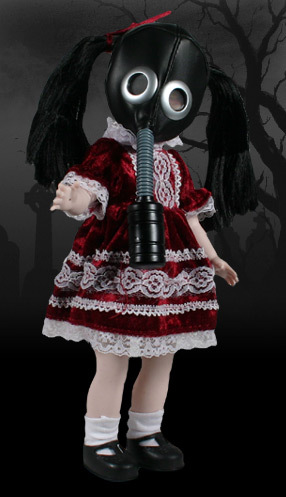 But not even her gasmask can save her now. And is reborn again through radiation. A black and white, glow-in-the-dark version of Toxic Molly was offered as part of a Living Dead Dolls Series 9 variant set, exclusive to the Mezco Direct Store. © 2000- Mezco Toyz, LLC. All rights reserved.